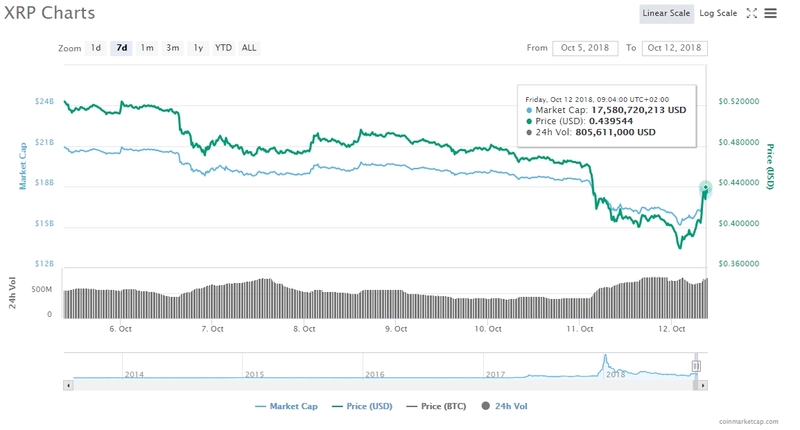 The Oct 11th, 2018 – dump did hit hard the 3rd largest coin by market capitalization as it moved from $0.4622 to $0.3781 in only 24-hours. 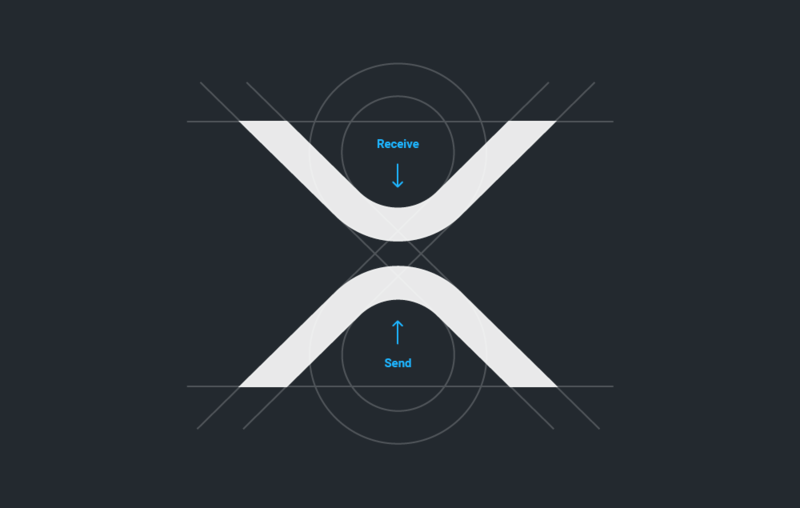 Following the first downward clear, the second to come could have been predicted easily as XRP was counting massive gains from the previous week’s performance. Source: coinmarketcap – Last 7 days. Today’s trading showcasing buyers stepping in to get their hands on the cheaper token after the sell-off, however resulting from the general market sentiment standing in the red with sellers having their saying, the pair XRP/USD is meeting its hurdle to overcome the $0.4400 level. By no doubt the massive change that took place Yesterday will not be recovered from for a few more attempts. – The Interledger – the project has set one target to itself: allowing users to receive money from any ledger without the work of creating account on various and different wallets. Interledger wants to connect all the famous blockchains that we enthusiast about [XRP, Ethereum, Bitcoin] to make it possible for an individual to send/receive funds between them without the need of different addresses or crypto-conversions. A Connector is a system that provides the service of forwarding Interledger packets towards the destination provided in the packet. Packets are forwarded across connections (called accounts) between senders, connectors and receivers. Interledger packets describe amounts of money, which may be settled individually or in aggregate through various kinds of external payment systems collectively referred to as ledgers. – Concept of the Connectors. – Banco Santander recently announced the expansion of its Ripple (XRP)-powered OnePay FX Platform to other European countries. The bank also plans to use Ripple ledger for all its payment settlements going forward. We believe that financial services is moving to a world of open platforms where companies collaborate to deliver excellent customer service for their customers, and that’s at the core of what we’re doing with OnePay FX. – Head of Innovation at the bank – Ed Metzger added.